Why are effective upholstery cleaning services so important? Think about it: Over time, human oils and debris can become embedded in the upholstery of your furniture. And spills and accidents? They’re just a part of life. Regular vacuuming and care of your furniture is a must. And for stains? Spot treatments or stain removers are definitely helpful. But to keep your furniture looking new or to remove a set-in stain, you need a more thorough solution. The best and most cost-effective option is to get professional help from Bluesteem upholstery cleaning services. Bluesteem’s couch cleaning services can help eliminate dirt and grime to make your furniture smell, look and feel new again. 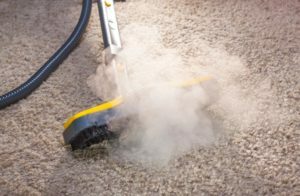 Our team’s upholstery steam cleaning service sanitizes and deodorizes your sofa, love seat, chairs and more to reduce allergens and bacteria. In fact, Bluesteem’s upholstery cleaning services are powerful enough to clean the deepest, set-in stains while our cleaner is gentle enough to protect both your furniture and family. And yet, our prices are reasonable, so you can actually afford to protect your upholstered investments. Extend the life of your furniture with Bluesteem upholstery cleaning. Killeen, TX furniture has never looked so good!